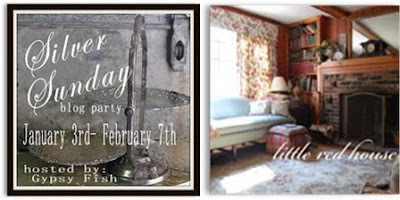 I am so happy (as are a LOT of others) that Beth decided to continue Silver Sunday over at her blog, "Gypsy Fish"! I also thought it would make a pretty mosaic for Mary's Mosaic Monday at her blog "Little Red House". And, of course, I found a few! 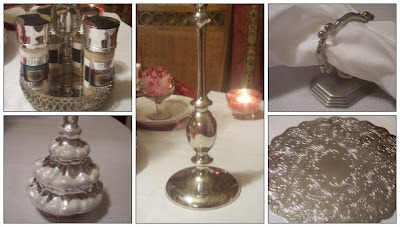 This is a silver candlestick. It is about 18" tall. And look at what I paid for it! This little handled condiment type tray is a piece we have had for awhile now. It is used everyday. 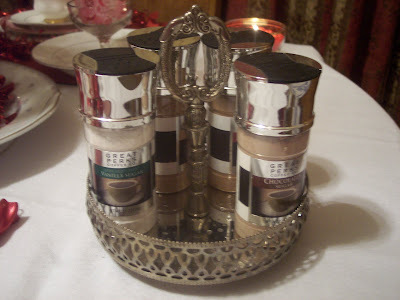 We keep flavored sugar coffee toppings in it and is always next to the coffee pot! LOL I paid $1.00 for it. 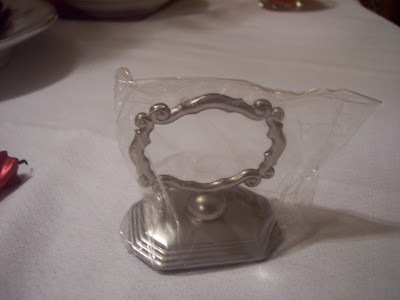 I was so excited to find this little box of silver standing napkin holders! The were brand new! Still in the box and individually plastic sealed bags. I paid $2.00 for the box of four. 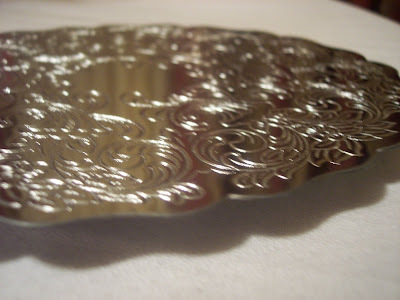 I don't know why, but I seem to be in love with silver trivets! I can't pass one up. I have 6 or 7 of them now. I bought this one at Goodwill for $1.29. Thanks for sharing the silver. 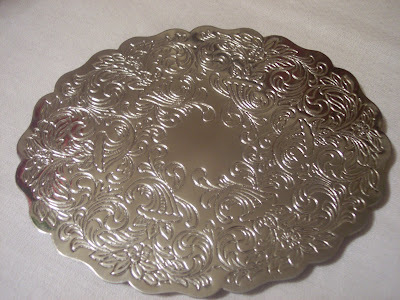 I like the silver trivets myself. Can you have too many? Great thrifty pieces! 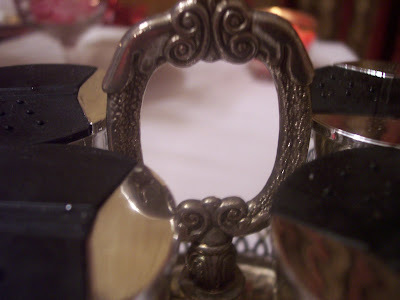 I've never seen napkin ring holders like those. Very pretty! Wow! 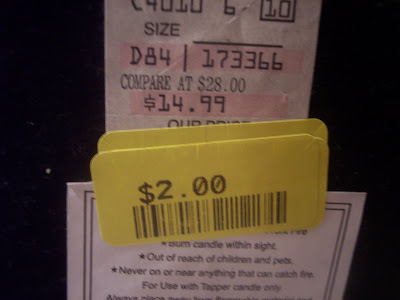 Our TJ Maxx doesn't ever have deals like those! Great job! You certainly have an eye for bargains. Amazing finds!!! Diann so glad you drove slowly and found some great buys! 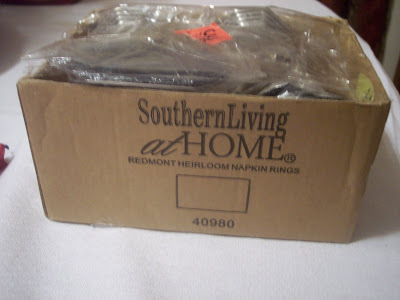 I also have those Southern Living Napkin holders and I paid way more then you did....Great bargain my friend! 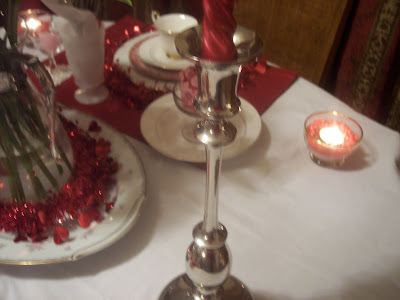 Love the candle holder...Happy Valentine's Day! Fantastic bargains! 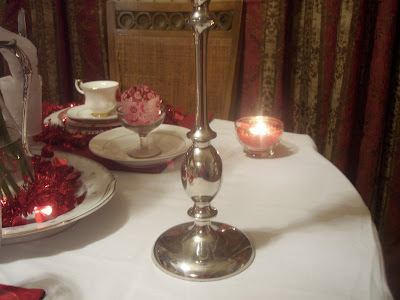 That tall candleholder is especially nice. what amazing deals! they are all fabulous! 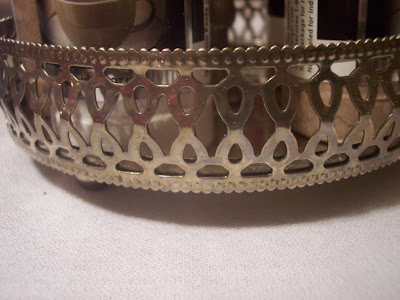 especially the napkin rings, i love that style. 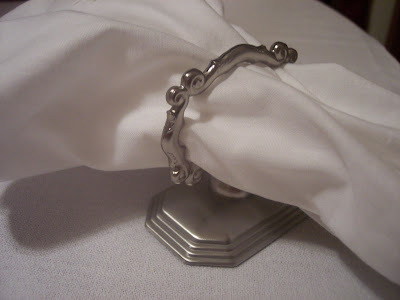 Hi Diane, If you decide the silver napkin rings are in your way just send them on to me please. :) Happy Silver Sunday and your mosaic is wonderful. You have some lovely items, and what great bargains you got! I am going to be checking your blog frequently as I think I can benefit from your thrifty life suggestions and tips. Hope your Valentine's Day was nice. Those are great finds! !~ made for a pretty mosaic! What a lot of beautiful silver you have and I love your mosaic. Quality econo silver...great snag! Thanks for paticipating....see you next month! What great deals! 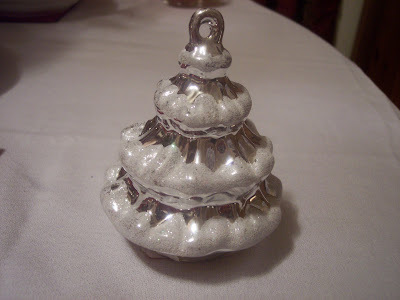 The silver is lovely. Well done! 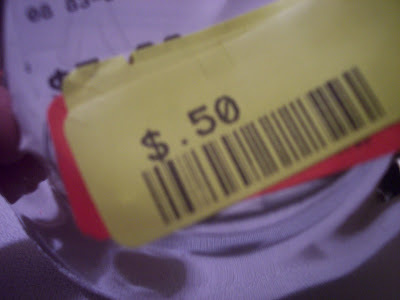 Wow - you're a great bargain hunter! I'm impressed. (And it unleashes an urge in me that's counter to my "pare down, live simply" trend). You got some great deals. I am drooling. I especially love the free standing napkin rings. Love them. I'm with Sherrie - the standing napkins rings are awesome!